The majority of EV charging happens at home. However, what if you’re on the go and need a charge? You’ll want to find the closest EV charging station, but unlike gas stations they aren’t easy to find. 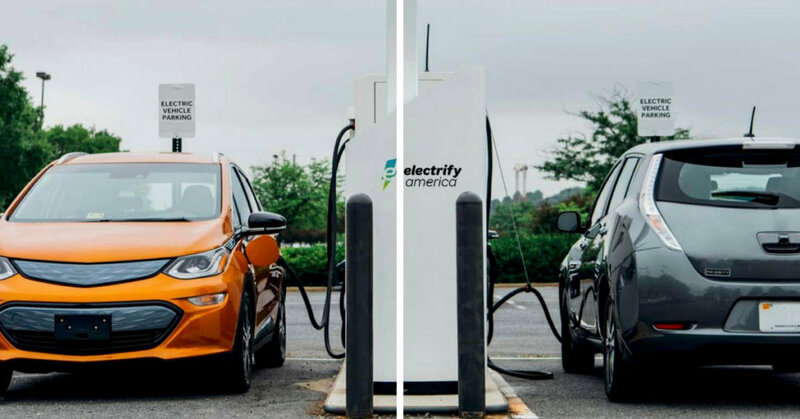 ChargePoint is the world’s largest electric vehicle charging network. They currently serve approximately 35,192 charging spots in homes, retailers, workplaces, and parking garages. The app shows ChargePoint charging stations, as well as other network and public stations through a real-time map. You’ll be able to locate open charging stations and filter them by type of charger, price, and network. In addition, the app will also show you busy charging times, stop and start charging on ChargePoint stations, get satellite views of charging stations down to the parking spot, and tailor the charging station map so you can only see the stations that’s compatible with your car. PlugShare will help you find a place to plug in your EV. PlugShare operates through a social network of EV owners that share tips and photos. Their database has approximately 76,300 charging stations internationally and 65,700 charging stations in the U.S. and Canada. You can easily search by the type of station and filter by network provider to find charging stations. You can also see residential chargers shared by PlugShare members in PlugShare’s interactive map. Open Charge Map operates like PlugShare. Their database of EV charging stations is managed and populated by EV owners in the U.S., Canada, and internationally. It’s map gives detailed information and photos on approximately 97,168 charging stations across the world. ChargeHub shows you public charging stations in North America. Its search feature and filter option will help you find the nearest public charging stations for your EV. The app allows you to communicate with other EV owners through a messaging system. This can be helpful in certain situations such as if you need to plug another driver’s car. In addition, you can also share photos and leave tips about specific charging stations. We help EV owners maximize their driving experience through faster charging times. Order and install your level 2 EV Charger with us and benefit from an Electric Vehicle Charger Incentive Program. We install condominium charging stations, industrial and commercial charging stations, and residential charging stations.